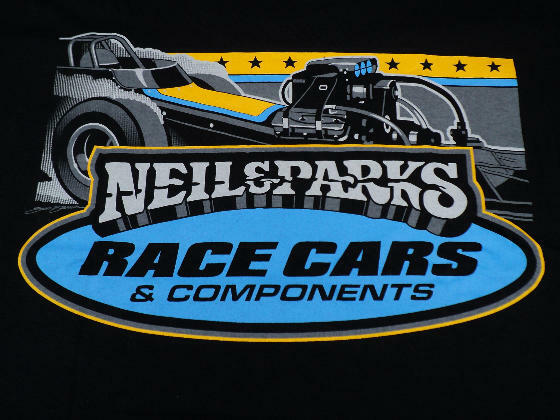 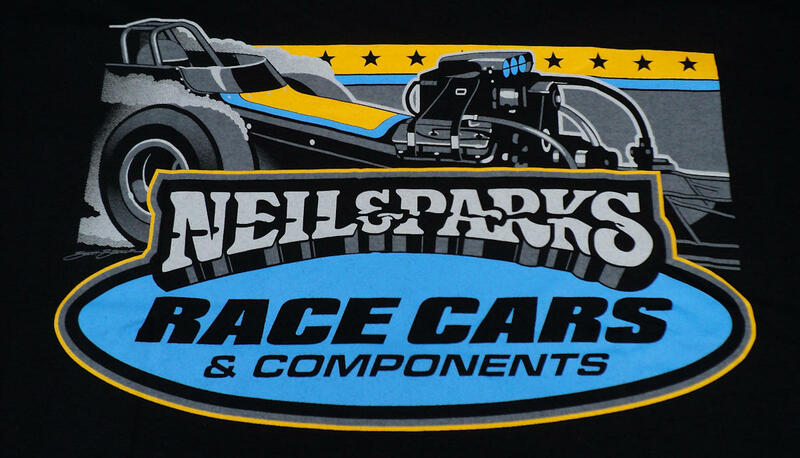 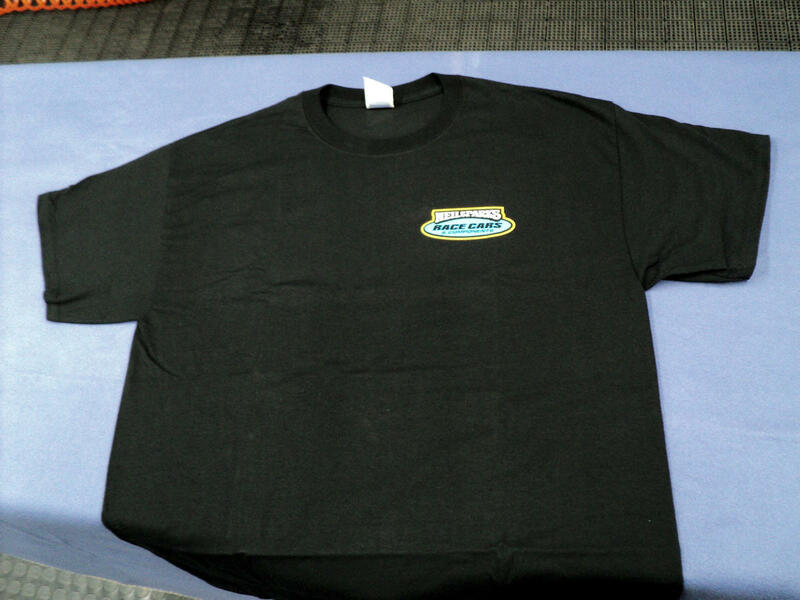 Even though we make all of our race cars and parts as light as possible, the only place that doesn't apply is our T-Shirts! 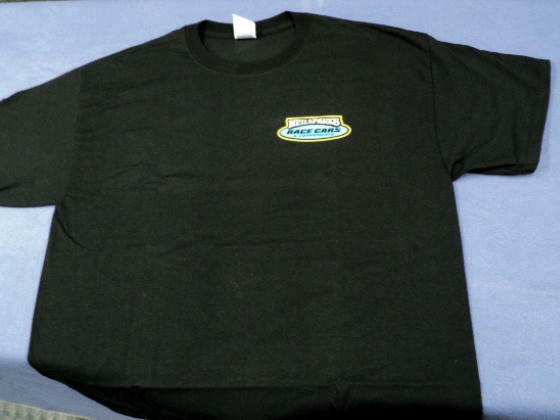 These are high quality, durable T-Shirts that will last you for a long time. 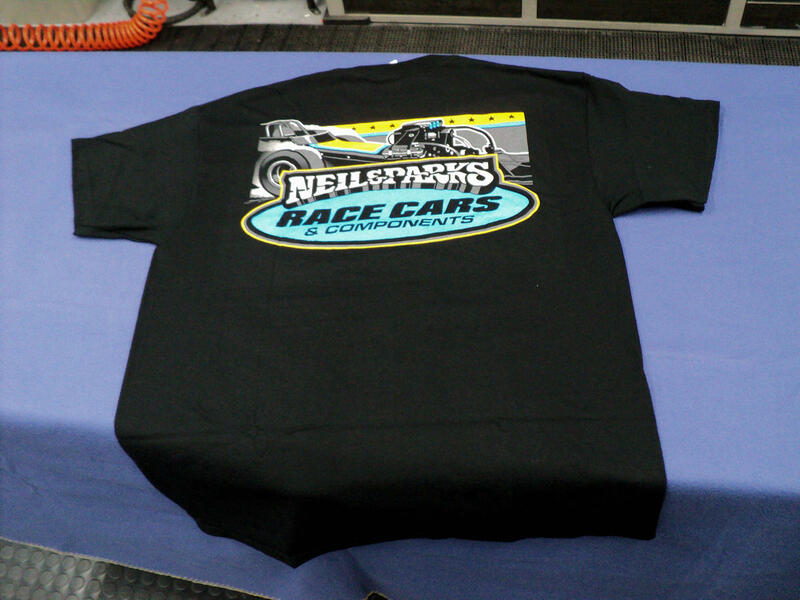 Look sharp in the Pits or the Winner's Circle!! 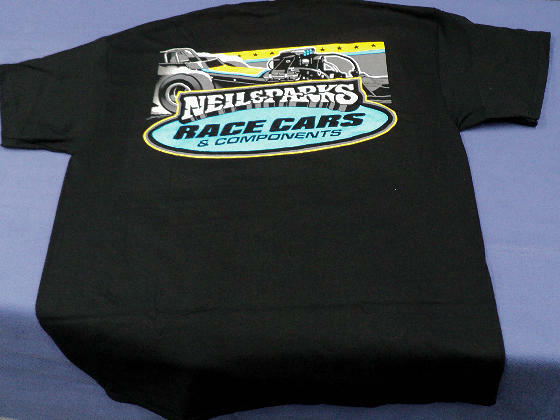 Call to order and check available sizes.